As a healthcare provider, if you’re not on social media by now, you should seriously consider it. More patients are going from social media to surgery than ever before. As the story below will show, this is actually a reasonable way to find your doctor. As seen in the photo above, a patient asked me a question regarding the price of a procedure. She’s not alone. Whether it’s a cosmetic procedure or a medically necessary procedure paid out of pocket because a deductible hasn’t been met, everyone wants to know their out-of-pocket costs before committing to a non-emergent procedure. What if we simply replied to the patient’s question on social media? We would have no way of following up with her. Sure we’d know her social media handle but following up with a patient on their social media page is a bit stalker-ish. In other words, a social media follower is comfortable with you answering their question on your page, not following up with them on their page a week later to see if they have any additional questions. That’s why we redirect social media followers asking about price to the BuildMyBod Price Estimator on our site to check pricing. But before they can see the price on the Price Estimator, they must provide their contact info and opt in to our follow up. Because they’ve given us their contact info along with permission to contact them, we can. No such permission is given when simply answering their question on social media. Pricing is a great “hook” to generate a ton of leads because everyone wants to know cost. As shown above, once they check our pricing, the patient, and my office staff receive an email with the cost estimate and patient contact info for follow up. After we’ve established contact, we can start the education process.That includes answering questions via email or the phone. They can even watch surgery on our Snapchat and Instagram stories. 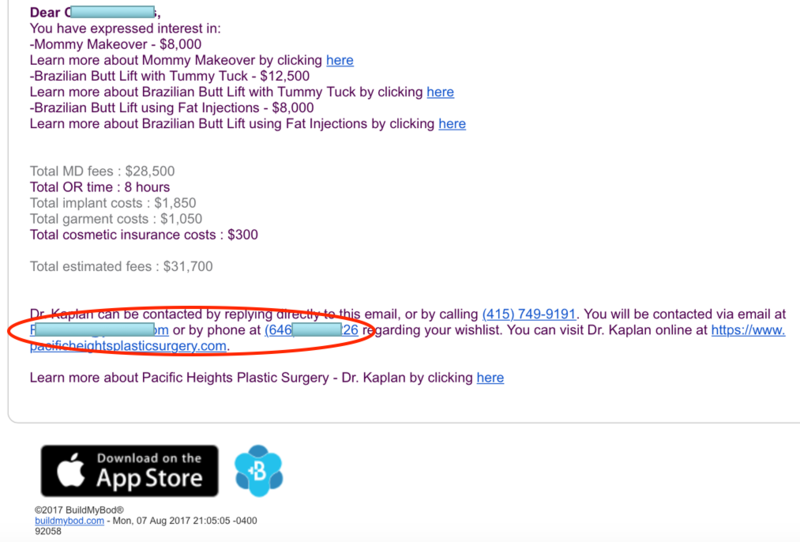 By redirecting them to our Price Estimator and capturing contact info, we get them into our sales funnel early. Now we can provide them to limitless education on how we do things. This level of education is unprecedented. A patient’s 30-45 minute consultation can not duplicate the knowledge-base they achieve through weeks to months of watching their future surgeon operate in their natural “habitat.” And ultimately, if they think we provide a worthwhile product, they’ll book surgery as seen below! Video: Finally, surgery day arrives! This was very fulfilling and exciting to see this anonymous social media follower pass from engagement to education, and finally to surgery over the course of four months! Are you on social media? Find your favorite doctor and their pricing here. 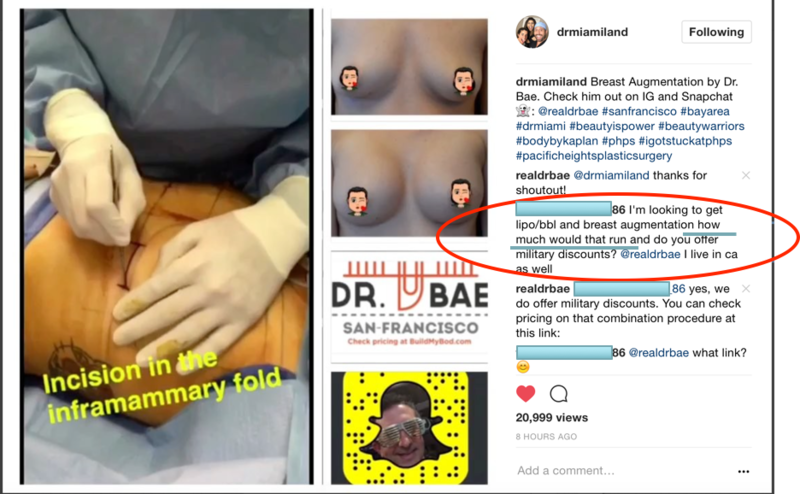 This entry was posted in Procedures, Technology and tagged BuildMyBod Health Price Estimator, instagram stories, Price Transparency, snapchat, social media by Dr. Jonathan Kaplan. Bookmark the permalink.